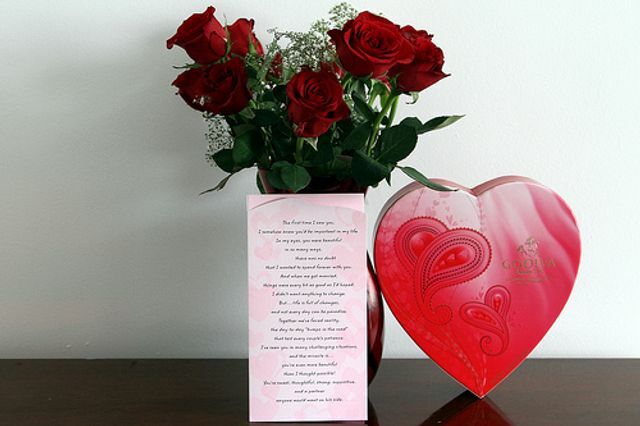 February 14th is usually associated with heart-felt emotions and love. Having said that, many businesses capitalise on this one day by providing themed gifts, products and services to their customers. This is an ideal opportunity for small businesses to raise their profile and increase sales by using their websites or social media to alert customers to their products and services. Customers are looking for quality items and services, and value for money should be the aim for any small business. However, there is a section of the market which usually postpones their buying until the last minute and they will often pay a higher price to ensure they deliver the best that money can buy to a loved one. Some people may not celebrate the day, but they still buy gifts. It’s not inconceivable to spend up to £50 for a bunch of flowers and maybe a box of chocolates, or even up to £200 if you include a meal for your nearest and dearest. This is a great opportunity that businesses should capitalise on. It could be the ideal time to increase brand awareness through growing your product range to include gifts, cards or additional services, if necessary. If you are a delivery company, ensure you have enough drivers or cyclists available to meet the delivery demand on the day. If you sell online gifts, cards, restaurant services, flowers, champagne or chocolate - now is the time to reach out and show the love! You're on our blog and updates site, which is hosted by Markel Law Hub, a leading digital hub powered by the award-winning lawyers and business advisors at Markel Law. Could there be anything more heartwarming than a candlelit Valentine’s Day dinner at Greggs?